The Sir John Barrow Monument towers above Ulverston at the start. High Park in Little Langdale, where farmhouse teas are available. 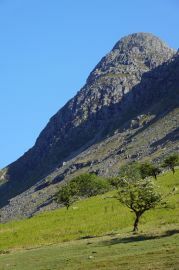 Pike o’ Stickle rises high above the Cumbria Way in Mickleden. I live in Ulverston, only one street away from the start of the Cumbria Way, so when I see backpackers walking past my house, I know that they have gone wrong even before they start the walk. When I spot them, I try and catch their attention and point them in the right direction, but it also seemed sensible to write a guidebook to the route to steer them all the way from Ulverston, through the Lake District, to Carlisle. The Cumbria Way wanders through fields and passes farms to reach the boundary of the Lake District National Park. It then crosses the rugged little Blawith Fells and runs along the well-wooded shore of Coniston Water. The route passes the iconic Lakeland beauty spot of Tarn Hows, then weaves its way through Little Langdale and Great Langdale, while the fells rise higher and higher alongside. Crossing Stake Pass is one of the few high-level parts of the route, which is largely routed through the low-lying dales. The route runs through Langstrathdale and Borrowdale, later following the shore of Derwent Water towards Keswick. Leaving this popular tourist town, the route passes between the mighty fells of Skiddaw and Blencathra, reaching the remote Skiddaw House Youth Hostel. 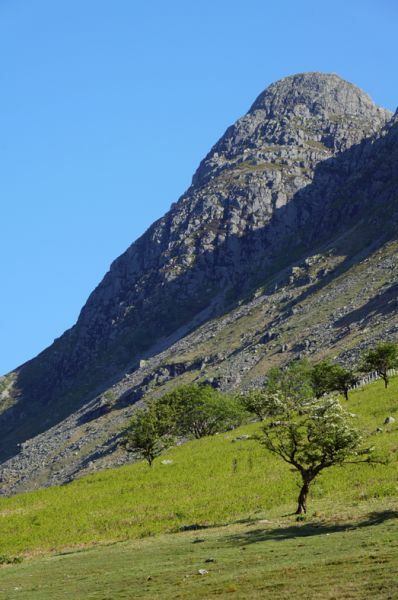 At this point, walkers choose between a high-level trek over High Pike, or if the weather is against them, take a low-level alternative route around the fellsides to reach Caldbeck. All that remains is a simple low-level walk, mostly close to the River Caldew, to reach the interesting Border City of Carlisle. Although the weather during ‘summer’ of 2012 was exceptionally poor most of the time, the fact that the Cumbria Way is on my doorstep meant that I could pick and choose the days to cover the route - a classic case of making hay while the sun shines! The Cumbria Way is well within the capabilities of novice long-distance walkers, and can be covered in less than a week.